Sunburn is the reddening of the skin that occurs due to overexposure to the sun or other forms of ultraviolet rays. Sunburn blister is a major symptom of a sunburn. These blisters are fluid-filled bumps on the skin caused by over-exposure to the sun or other forms of UV rays. These blisters could lead to infections that may exacerbate to more swelling, pain, and fever. red, inflamed, and tender skin that has a warm feeling when touched. blisters that tend to form in a few hours or days after exposure. severe reactions (often referred to as sun poisoning) which may include nausea, chills, rashes, and fever. skin peeling of the affected areas. In as much as the symptoms of sunburn may be temporary, the damage to the skin cells could be permanent and may have adverse long-term effects such as skin aging and skin cancer. Opt for a hat with wide brims and wear light-colored clothes as they reflect sunlight the most. Apply a broad spectrum sunscreen, of SPF 30 or higher, on your skin as such sunscreens protect you from both UVA and UVB rays. Strive to stay away from the sun when it is most intense (often between 10am-3pm). Ensure you apply an adequate amount of sunscreen every 2 hours or as often as the label recommends. It is recommended to apply sunscreen while swimming or sweating. Have a cool show or bath to help relieve some pain. Creams that are rich in both vitamin E and C may help minimize damage to the skin. Avoid using petroleum jelly, butter, and other oil-based creams, if you have skinburn, as the may trap in the heat and sweat, thus, leading to infections. Endeavor to wear loose cotton cloth to help hasten the healing process. If you have sunburn blisters, using dry bandages may help prevent infections. Drink lots of water to help keep you hydrated and to hasten the healing process. Applying a cold compress to the sunburn area may bring great relief from the pain and discomfort. Cold compress also aids in reducing inflammation naturally. For this remedy, take some cold water in a bowl and dip a towel in it. Wring out the excess water from the towel and place it on your affected skin for some minutes. Repeat this until the burning sensation is gone and do this remedy, as needed, throughout the day. Avoid taking a warm bath until your condition improves. Also, avoid taking a shower as it may pop the blisters. Instead, bathe using cool water to relieve the symptoms. Turmeric soothes and heals skin that gets damaged by sun exposure. Turmeric has antiseptic properties which reduce the risk of an infection. Besides, turmeric also reduces inflammation and soothes with the blisters effectively. Make a turmeric paste by mixing its powder with water and spread it on the entire affected area. Let it stay for 10-12 minutes and wash it off with cold water thereafter. You may also make a soothing paste by mixing together powdered turmeric, yogurt as well as barley and applying it to the affected skin. Leave it for 30 minutes and wash it away thereafter. Do this remedy once every day until there is a reduction in the blisters. Freshly extracted juice of tomatoes would work effectively in treating a sunburn. Tomato cools down the skin and relieves the burning sensation. Tomato also helps the skin to heal. Take a quarter cup of tomato juice and mix it with half a cup of buttermilk. Apply it to the affected areas of the skin and let it stay for 30 minutes. After that, wash it away with water. You may also use tomato paste in place of its juice in the above remedy. Another way to use tomatoes is to add 2 cups of its juice in a bathtub and soak in it for 12-15 minutes. Besides, a mashed tomato mixed with crushed ice is another effective remedy for relieving the discomfort. Simply apply this cooling paste to the affected skin. The cooling properties of aloe vera are highly beneficial for dealing with sunburns on your skin. Aloe vera soothes the skin to relieve the irritation, discomfort and the burning sensation caused by the sunburn. Aloe vera also replenishes the lost moisture from the skin and promotes healing. Furthermore, aloe vera effectively reduces inflammation to ease the condition. For this remedy, obtain some gel from an aloe leaf and apply it over the blisters and the burn areas. Leave it to dry and reapply after every few hours. Being highly alkaline in nature, baking soda may help in relieving the inflammation and pain associated with sunburns. Fill tepid water in your bathtub and add some baking soda to it (about a quarter cup). Mix well, then, soak in it for 18-20 minutes. Another way to use baking soda is to mix it with water and apply it evenly on the problem areas. Alternatively, for a more effective remedy, mix baking soda with vinegar and dab it over the blisters to get relief from pain, itching, and discomfort. The soothing action of oatmeal on the skin is helpful in treating sun-damaged skin. Simply add some oatmeal powder to a bathtub and relax in it for 25-30 minutes. Let the affected area soak in this water. Alternatively, you may put 1 cup of oatmeal in a cotton cloth and secure it tightly. Put it in boiling water for some minutes and let it cool. Then, use it to gently sponge the affected area of your skin. Vinegar can be used in several ways to relieve a sunburn. Vinegar helps in cooling down the areas by absorbing the heat. For this remedy, apply diluted vinegar on the affected areas with the help of a clean and soft cloth. You may also fill vinegar in a spray bottle and spritz it on the burnt skin to relieve pain and inflammation. Alternatively, mix vinegar with honey and dab it on the damaged skin. This would also help in preventing an infection. Cucumber has skin healing as well as cooling properties that not only provide relief from the burning sensation but also heals the skin to reduce the symptoms fast. Take a cucumber and peel it. Grate it to extract the juice. Apply it all over your skin and the sun blisters in order to soothe it. Potatoes are great for reducing sunburns. Potatoes speed up healing of the skin to help you get rid of pain and discomfort in a fast way. Wash a potato and cut it into many pieces. Then, blend them well to form a thick paste. Apply the paste to the sun-exposed damaged skin. Let it dry, then, rinse your skin with water thereafter. 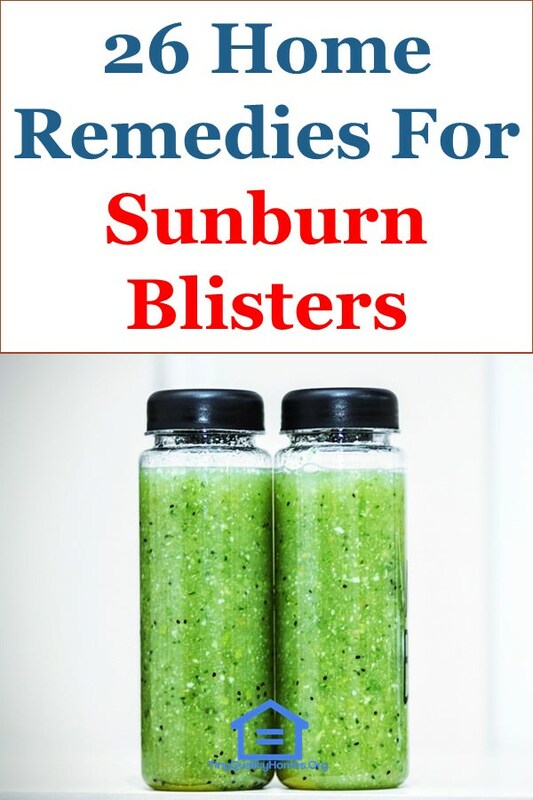 Do this remedy once every day to treat sunburn and sun blisters fast. If your skin is excessively burnt after a sun exposure, don’t forget to moisturize it well. Leaving it dry will make it prone to more damage. After taking a bath in cold water, apply a moisturizing lotion or a cream on the sunburns to moisturize them. This would help your skin to heal faster. Choose a cream having vitamin C and E as these vitamins are beneficial for maintaining a healthy skin. Chamomile helps in soothing the skin in a great way. Dilute some chamomile oil by mixing it with almond oil and apply it over the sun blisters. Reapply 1-2 times every day until the blisters are completely gone. Chamomile tea bags, soaked in ice water, can also be applied to the skin for a cooling and relieving action. Tea contains tannic acid which is known to draw out heat from the skin and reduce the burning sensation. Tea also helps in maintaining the ideal pH of the skin thereby promoting healing. For this remedy, brew some tea and allow it to cool. Then, topically apply it, on the affected area, to soothe the sunburns and the sun blisters. Rinse off after some minutes. To increase the cooling effect, you may add some mint to the tea. Being a powerful antioxidant, vitamin E helps in promoting skin healing in a fast way. Take some vitamin E oil, prick it open, and apply it directly to the affected area. You may also run it over the peeling skin. Leave it on. 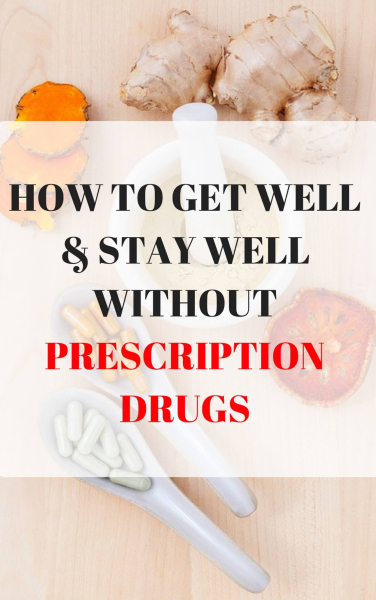 You may also take vitamin e supplements to cure sunburns in a natural and easy way. Lettuce has an anti-inflammatory action which helps in reducing swelling and pain associated with sunburns. Take some fresh lettuce leaves and boil them in water for 10 minutes. Filter it and keep the water in the refrigerator. When cool, apply it to the affected skin and blisters. Do this after every few hours throughout the day. Refrigerated lettuce leaves can also be placed on the affected skin for a soothing action. Applying a layer of cool milk on the sunburn areas may help in providing relief from discomfort and burning sensation in an effective way. Milk creates a film of protein on the surface of the skin and protects it from further damage. Guavas are rich in vitamin C which is beneficial for promoting skin healing. Including guavas in your regular diet may show a positive effect. You may also include other vitamin C rich foods in your diets such as oranges, bell peppers, and broccoli. It will not only heal your skin faster but also increase your skin’s ability to stay protected in the sun. Witch hazel has a cooling action on the skin due to its powerful astringent properties (pyrogallol-containing polyphenols). It is also useful in reducing inflammation and healing the skin. Apply it topically to the skin using a cotton ball. Do this on a regular basis to heal the damage. If a large area of your skin is affected with sunburn and blisters, you may use Aveeno treatment to deal efficiently with the issue. Add it to a tub of cold water and soak yourself in it for at least 18-20 minutes. For a cooling and soothing effect on the skin, apply a layer of milk of magnesia. Avoid rubbing it. Allow it to dry and rinse off with water thereafter. Do this remedy every day on a regular basis to get relief from itching and discomfort caused by the sunburns and blisters. Pomegranate contains ellagic acid that aids in protecting your skin from the sun damage. Its anti-inflammatory properties help in relieving pain and swelling of the skin. Furthermore, pomegranate is packed with a huge amount of antioxidants that may speed up the healing process. Consume pomegranate or its juice in the summertime to protect and treat your skin from sun damage. Apricot is another great ingredient for healing the skin damage caused by the sun. Simply peel 3-4 apricots and mash them to obtain a thick paste. Apply the paste to the damaged areas of the skin and wait for 10-15 minutes. Wash off with water thereafter. One of the best ways to heal the blisters is to treat them hygienically at home. Start by cleaning your hands thoroughly with soap and water. Use a clean needle to pop the blisters and drain the fluid. Then, pat the area with a soft and clean gauze to dry the area. Yogurt, being a probiotic, would help in cooling the area and providing a great relief from the itching and discomfort. Take some plain unsweetened yogurt and apply it generously to the damaged skin. Allow it to stay for some minutes and wash it off with water thereafter. Reapply as soon as you feel a burning sensation again. Ripened strawberries help in reducing the stinging and burning sensation caused by sun damage. Strawberry contains tannins which work well in relieving the pain and inflammation. Take some strawberries and mash them until it forms a paste. Then, spread it on the damaged skin and wait for some minutes. Finally, wash it off with water. Surprisingly, cottage cheese may help you get rid of skin damage caused by the sun. Cottage cheese cools down the area to reduce the burning sensation while healing the blisters in a fast and effective way. All you have to do is take some cottage cheese enough to cover the entire area of your skin that is affected by sunburn or sun blisters. Spread the cottage cheese over it and let it stay for at least 2 hours. Then, wash it off your skin thoroughly with water. Avoid using any soap. Doing this on a regular basis will help in reducing the skin damage and heal your skin fast. When the skin is damaged and having sunburns, a lot of fluids are drawn towards the surface of the skin. Due to lack of water, the skin may not be able to heal properly. Therefore, it is important to stay hydrated by consuming some additional fluids until the skin is completely healed. Consume lots of water and freshly-made fruit juices to stay hydrated. You may also consume fruits that have high water content such as watermelon and cucumber.